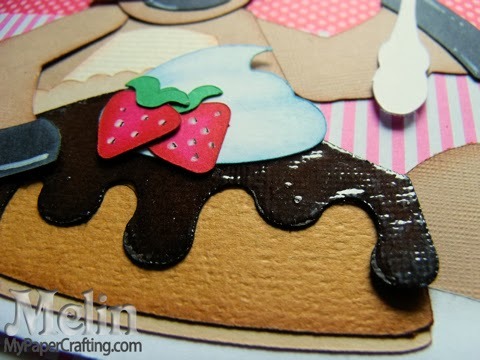 Welcome to another Fabulous Friday SOUS Die Cut Challenge! Our challenge this time is all about something sweet! It is no coincidence as one of the “sweetest” days of the year is coming up! When you think of Valentine’s day, you inevitably think of Chocolates, candy and sweet treats! So here is what I came up with! Here is a view of my entire scrapbook paper piecing layout. I love the “pun” title. I used the Chocolate Moose SVG cut file from PCW. 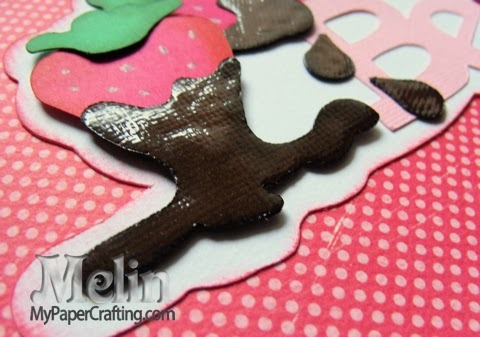 Here's a closer look at the little chocolate moose topper. Holding his little truffles-chocolates. Here's a closer look at the strawberries on the title. I used some liquid glass to give the chocolate some shine. 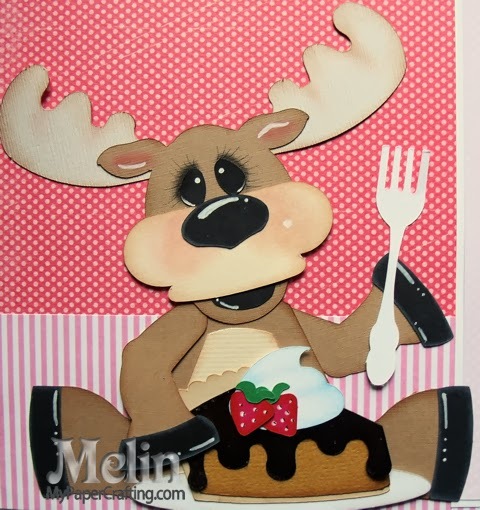 Here is a closer look at the little moose getting ready to enjoy his chocolate covered pie! Here's a closer look at the pie. Again, I used some liquid glass to really make the chocolate look extra yummy! I did also make this layout into a kit. You will be able to purchase it starting on Sunday on Page-Kits.com. Now head over to SOUS and check out what the rest of the design girls created. Don’t forget, our challenges now have sponsors, so play along and you will be entered to win! Those desserts look so YUMMY! I feel like I could reach in the screen and grab a bite to eat! All your chalking and shading really make your die cut pieces shine! This is such a pretty layout !!!! I love everything !!!! The whole design is absolutely perfect !! Hope you have a wonderful day ! Just positively adorable! Love it!! Wow, Melin, this layout is just too cute. I love each of the wonderful details. Totally made me smile. I love your chalking.